Iranian cultural influence in west Africa is growing rapidly. Iran has maintained cultural centres in several countries in Africa aiming at promoting Persian culture and history; as well as spreading Iran’s own version of Shi’i Islam. 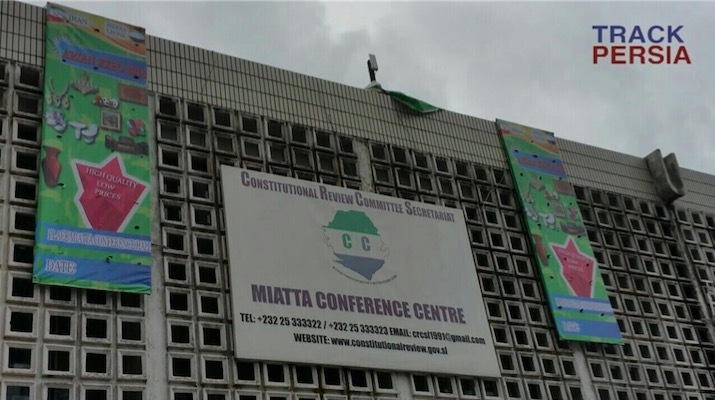 Sierra Leone is one of the countries targeted by Iran and in which Iran established a cultural centre in the central business district of Freetown three decades ago. Iran has also cultural centres in other countries in west Africa including Gambia, Senegal and Ghana as well as in east and south Africa including Kenya and Tanzania. The cultural centre in heart of Freetown offers free access to library which is the only Islamic library in Sierra Leone open to public. 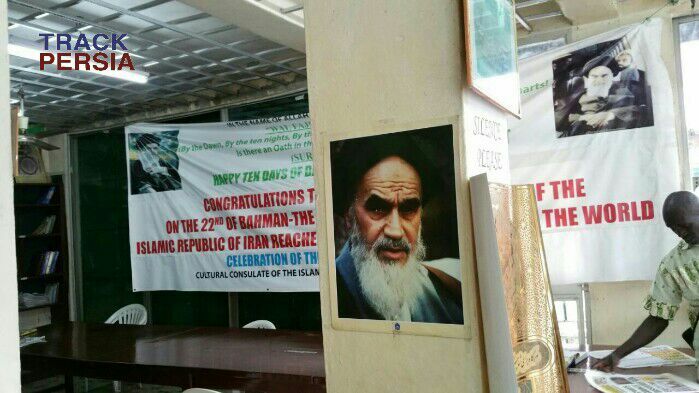 Like the other Iranian libraries in the region, the library plays significant role in spreading Iran’s version of Shi’ism in Sierra Leone. Most of the books the library contains are written by Shi’i writers. 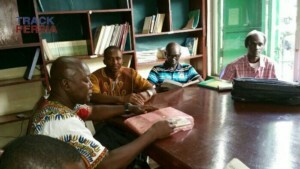 The head of the library of the cultural centre in Sierra Leone is Sheikh Gibril Kandeh Kargbo who had attended the Iranian sponsored International institute of Islamic studies in Freetown before he travelled to Syria where he spent several years studying at the International School for Non-Arabic Speakers and at the University of Damascus to gain a degree in Islamic studies. Kargbo admitted that most of the books in the library focus on Iran’s own version of Shi’ism because “Iran is the leader of Shi’ism in the world”; however he stressed that the library also contains some books about other religions. “Most of the books are about Ithna Asharia Shi’ism (Twelvers or Imamate), because it is no secret that Iran is leading the Shi’i community worldwide.” he added. 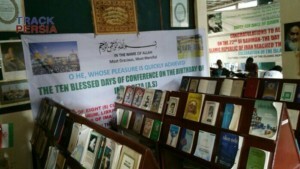 “Some of the books are important works including Nahj Al- Balaghah which comprises sayings by Imam Ali and Ekhtiyar Ma’refat Al- Rijal by the well-known Shi’i scholar Shaykh Tusi.” Kargbo added. “Our Cultural centre sends about six people to Tehran annually to attend conferences and seminars in line with our mandate. We also from time to time recommend to the Islamic Institute to provide scholarships to people to further their Islamic study in Iran.” Mr Kargbo said. He explains that the cultural offers free classes in Persian, Arabic, computer, cultures, tailoring and ‘gara tie-dye cloth’ which have attracted a lot of interests from the public in Sierra Leone. He claims that the public have good relationship with the members of the cultural centre. He stressed that Khomeni Relief Foundation Sierra Leone Chapter was under the umbrella of the Cultural centre. “Additionally, we fund activities outside the centre as we have been rendering financial assistance to Islamic religious groups as well as schools in different ways. But our assistance is Islamic related, recently we have helped an Islamic group for women to carry out an activity.” Kargbo added. Kargbo concluded by stating that the Iranian embassy officials visit the cultural centre occasionally when they marking a Shi’i anniversaries like Eid al-Gadir Khumm. 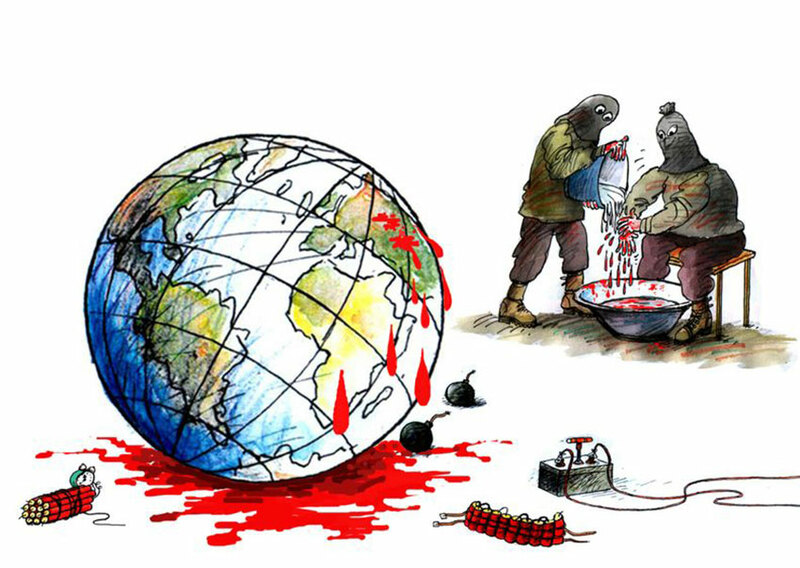 This year, marking this anniversary took place at the International Institute for Islamic Studies few weeks ago. 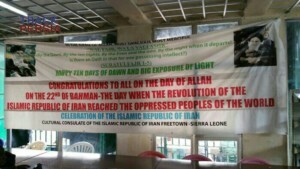 Ghadir Khumm is a very important anniversary in the Shi’i calendar, however it is not a public holiday in Sierra Leone. The only Islamic holidays recognised by Sierra Leonean government are Eid al-Fitr, Eid al-Adha and al-Mawloud Nabawi (Prophet Muhammad’s birthday). The Shi’a worldwide celebrate this occasion every year because they believe it was the day when the Islam’s Prophet Muhammad appointed his cousin and son-in-law, Imam Ali, as his successor at a place called Ghadir Khumm during his last pilgrimage to Makkah. Ghadir Khumm is a valley between Mecca and Madina, currently is in Saudi Arabia.